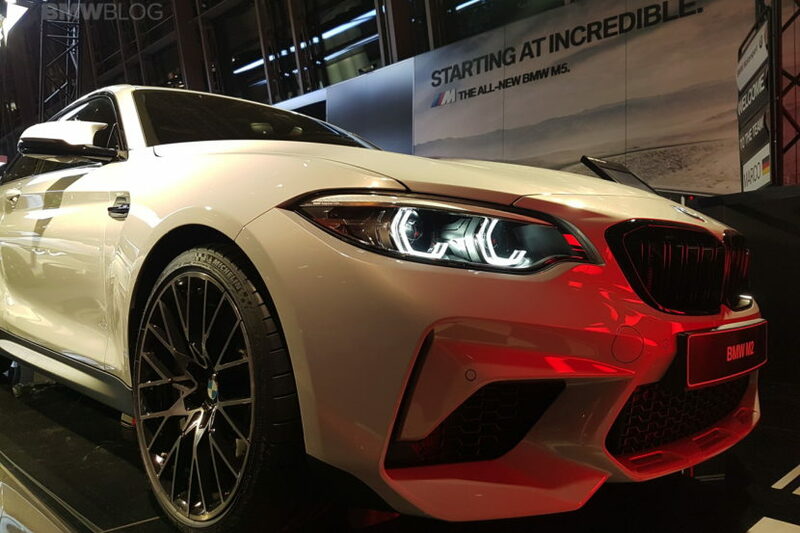 Our reader Todor Todorov brings us some exclusive photos of the BMW M2 Competition which is currently displayed at the BMW Welt in Munich. 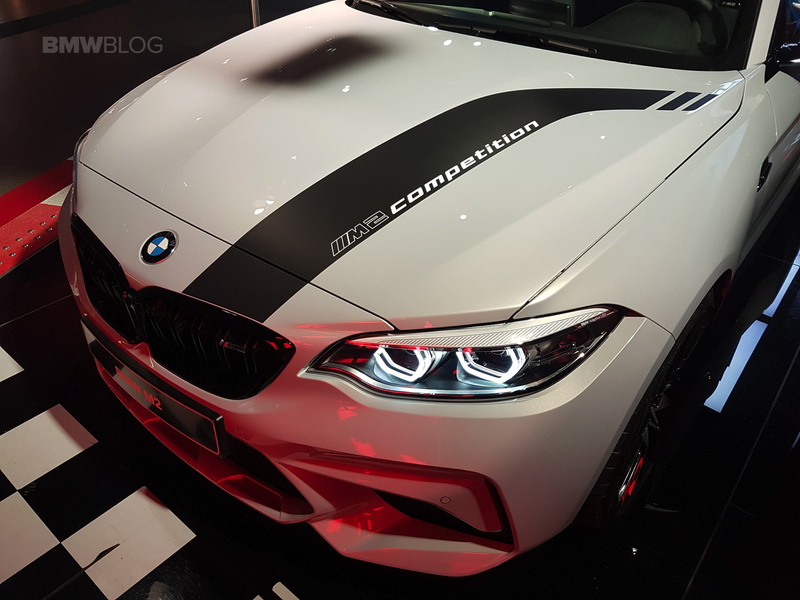 Headlining the features of the M2 Competition is a new engine lifted from the M3 and M4, a twin-turbo, 3.0-liter straight-six making 405 horsepower and 406 pound-feet of torque. That’s 40 horses and 63 more pound-feet than the outgoing car. As a result, the sprint to 62 mph comes in 4.2 seconds. Like before, buyers can choose between a standard six-speed manual gearbox, now featuring a new type of carbon-fiber friction lining to improve the shift feel, and an optional seven-speed dual-clutch automatic. The M2 Competition can reach a top speed of 155 mph, limited electronically. With a M Driver’s package, however, it can launch up to 174 mph. 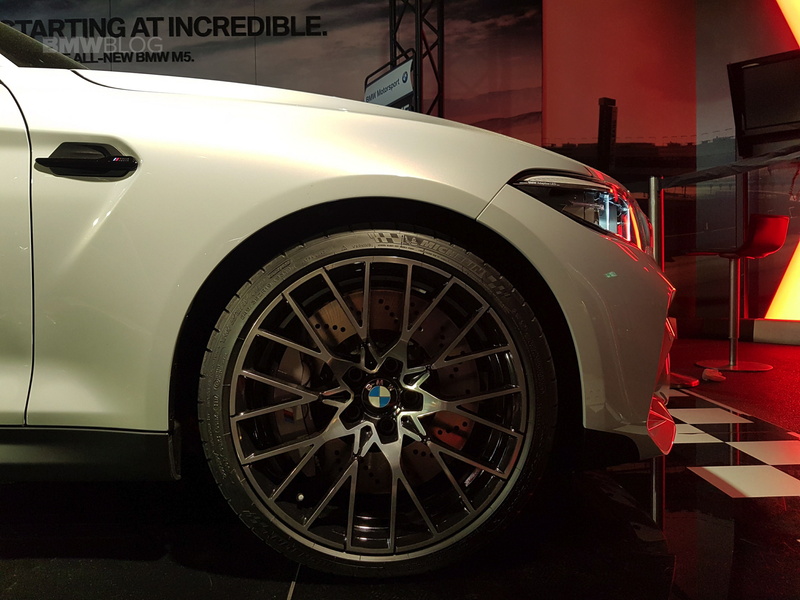 A set of larger brake disks were added, measuring 400 mm up front and 380 mm in the rear – the standard M2’s brake disks were 380 mm up front and 370 mm in the rear. There are also larger six-piston fixed brake calipers up front and 4-piston fixed calipers in the rear, instead of 4-pistons in front and 2-piston calipers in the rear. To learn more about the new M2 Competition, follow our dedicated section.